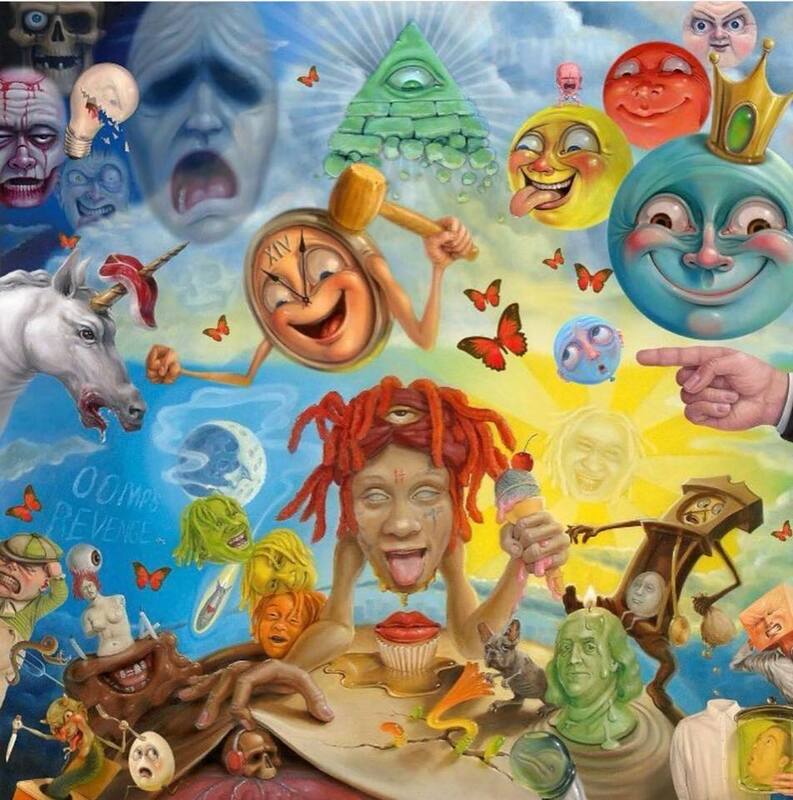 Trippie Redd Unreils His Beautiful, Yet Messy Voyage, of Complex Emotions on "Life's A Trip"
With his signature screeches and melancholic melodies, Trippie Redd released his debut album, “Life’s A Trip,” last month that illustrates the young emcees beautiful, yet messy voyage of complex emotions and unapologetic honesty across his two solid deliveries: hip-hop and punk rock. Raised in Canton, OH, Trippie Redd gained famed and notoriety in 2015 after releasing a series of mixtapes and videos that went viral across SoundCloud and YouTube. His unique versatile style of combining emo/cloud-rap, with the rebellious energy of garage and punk rock, made him an instant sensation online that accelerated his rise amongst audiences looking towards hip-hop to endure the struggles of depression and drug use. “Life’s A Trip” is one of Redd’s finest works to date. A bold record that allows the emo-rapper to unveil his highest glowing melodies and viciously precise bars, all while confronting his deepest emotions and personal endeavors over hollow guitar riffs and some of the best trap/boom-bap production this year. The heavy hitters on this record, “Bang” and “Bird Sh$t,” showcases Redd’s unique vocal expressions, with an inviting lyrical approach that’s bolstered with smooth head-boppin’ productions. His feature with Travis Scott on, “Dark Knight Domino” (the albums leading single), also displayed Trippie’s trap/cloud roots, illustrating a stern musical approach and heart pumping beats that masterfully aligns with Scott’s lyrical depth and genre-binding arrangements. Trippie Redd draws out his honesty on the hauntingly scorn opener, “Together,” where he croons, “I gotta keep it together ain’t no tweakin’ now / I gotta pull it together ain’t no holdin’ on.” His subsequent track, “Taking A Walk,” is a witty obituary that’s fluid with stuntin’ vibes, vivid imagery and autumn-esque flows that fall gracefully with every crawl. Redd draws out his hip-hop roots, however, on “Missing My Idols,” “Oomps Revenge” and “Gore” that’s ripe with sharp lyricism and fiery-engulfed flows. On “Missing My Idols,” Trippie pulls out his Lil Wayne card with a Weezy-esque style shout out to his idol, while also grilling the competition, as he accounts for his inspirations. On “Gore,” Trippie spits that heat over a ripely ill beat that shatters audio systems. Redd defiantly croons, “Even if it kills me, imma win,” with a liquidly fresh melody and soaked up bars that electrifies a thunderous delivery. As one of the most polarizing and versatile young artists to ascend from the cloud/trap genre, Trippie Redd’s debut album excels in both sound, storytelling and lyricism. The record strips away at the Ohio emcees most emotional undertones, which reconciles his strength, empathy and self-preservation. At a time where mental health is such a pressing issue in our society, and it’s profound impact across the hip-hop space, Trippie Redd sustains himself as a beacon of light for many of his listeners and peers experiencing the same challenges. Though his complex ability to reach across genres, Trippie Redd’s music has already defined a generation that’s trying to keep it together and how faltering now is not an option. Add “Life’s A Trip” to your playlist today.